The Kinnear Husky Battalion (KHB) Legacy Foundation is a nonprofit organization committed to serving the Cadets and Alumni of UW Army ROTC. Our UW Army ROTC alumni are spread throughout the world. Join our growing private community on Facebook, which has over 350 alumni, both prior cadets and faculty. Here are some of the photos of their reunions and Husky pride on display. The University of Washington has a long and honorable military history. The UW Army ROTC program is one of the oldest in the country, founded in 1916. However, cadets have been an integral part of campus since long before that. One of the important goals of the Foundation is to uncover and preserve the history of our great ROTC program. None of our history is more important to capture and retell than that of our Fallen Alumni. For too long the names of these brave Officers have been unknown to our Alumni and current Cadets. Their legacy will be honored and recognized from now on as a tribute to their ultimate sacrifices given in service to our nation. The plaques of UW Army ROTC classes from 1941 to 2015 are currently displayed in Clark Hall. Soon plaques from 1920-1940 will be added along with the commissioning classes of 2016 and 2017. The KHB Legacy Foundation is committed to enhancing the traditional events held annually by the UW Army ROTC Program. The Foundation will also look for new opportunities to connect alumni and cadets outside of these events. The UW Army ROTC program is proud to have the following individuals as Honorary Alumni: General (Ret) McCaffrey, General (Ret) Chiarelli, and Lieutenant General (Ret) Huntoon. These great military leaders have given a lot to our country, the Army, and UW. Join us in improving the UW Army ROTC program and investing in our future leaders. 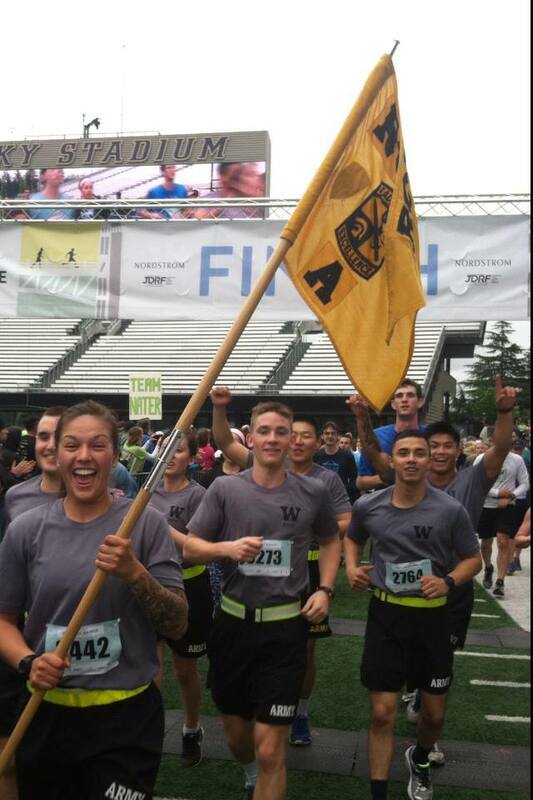 Consider donating today to the 'UW Army ROTC Operational Fund'. The Fund is managed by UW and 100% of our donations go to the UW AROTC program.